Aishwaryaa Dhanush’s YouTube channel is all set to release the first batch of five short films today. 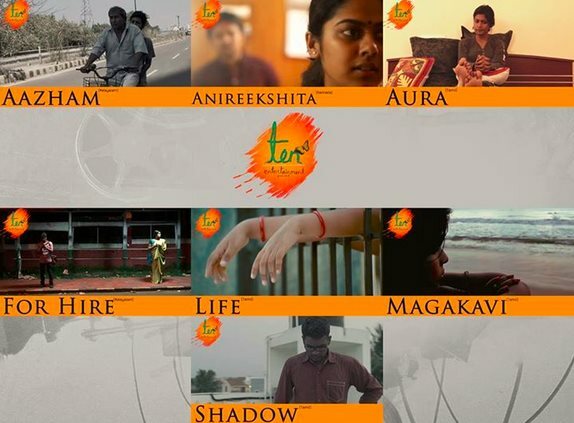 These films that have been short-listed from entries across Tamil Nadu, Kerala, Andhra and Karnataka. The promo shows an exciting mix of genres including drama, horror, thriller etc including a celberity entry by film-maker Kiruthiga Udhayanidhi. Aishwaryaa in an earlier interview had revealed how she herself started out by shooting short films and then slowly transitioned to feature films with the moral support lend by Dhanush. This platform she hoped will open up opportunities for newcomers by providing them with ample exposure. She added that she was overwhelmed with the response and hope that this will be just the beginning of greater things to come. We hope this brings out some fresh talent in our film industry. Here’s wishing the team the very best!